Neighbors initially thought the dog was just being a "bad girl," police said. A dog whom neighbors initially thought was being a "bad girl" is now being hailed a hero after first responders discovered a gas leak in the basement of her home. 911 dispatchers received a call detailing a dog on the loose around 3:45 p.m., and as officers managed to return the dog home, they noticed that the fence was broken and the sliding glass door was open, police said. 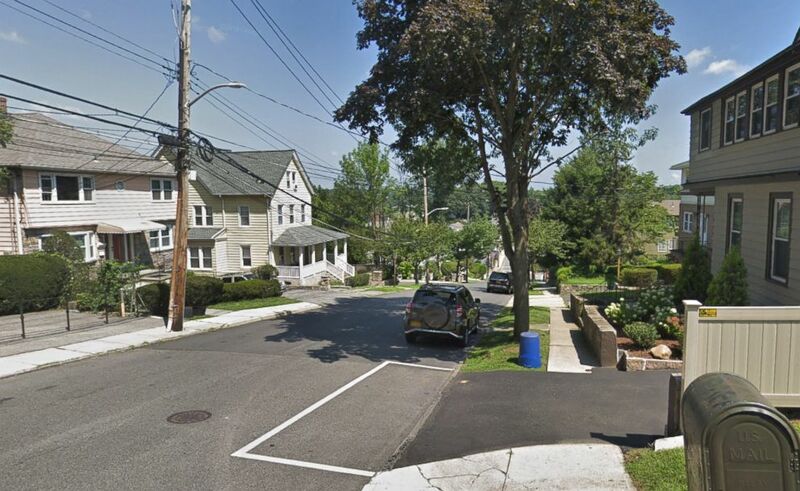 (Google Maps Street View) A Google Maps Street View image shows part of Fairview Ave. in Tuckahoe, N.Y., in August 2018. "At first it appeared that Sadie was being a bad girl," the post read. But, as officers walked around the home, they noticed a gas smell coming from an open basement window. The Eastchester Fire Department and Con Edison were called to the scene and determined that there was a gas leak in the basement, police said. Sadie's owner credits the loyal dog for saving her and her 4-year-old daughter's life, ABC New York station WABC reported. Police commended Sadie for likely sniffing out the gas, sensing danger and going outside to draw attention to her home. "Sadie - Great work sniffing out danger and getting help!" Police wrote. "If we are ever in need of a K9, we will put you at the top of our list! Officers initially wrote Costello a summons for an unleashed dog, but ripped up the citation after Con Edison discovered the gas leak.